We’ve begun discussing chapter ten, the conclusion of Book One (parts one, two, three, and four), of Alan Moore’s Miracleman, illustrated by Alan Davis. Today, we continue our exploration of that chapter. 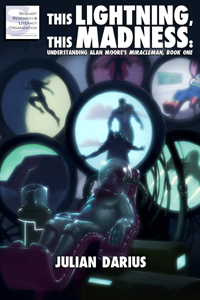 We’ve begun discussing chapter ten, the conclusion of Book One (parts one, two, and three), of Alan Moore’s Miracleman, illustrated by Alan Davis. Today, we continue our exploration of that chapter. We’ve begun discussing chapter ten, the conclusion of Book One (parts one and two), of Alan Moore’s Miracleman, illustrated by Alan Davis. Today, we continue our exploration of that chapter. We’ve begun discussing chapter nine of Alan Moore’s Miracleman (parts 1, 2, 3, 4, and 5), illustrated by Alan Davis. Today, we continue our exploration of that chapter. We’ve begun discussing chapter nine of Alan Moore’s Miracleman (parts 1, 2, and 3), illustrated by Alan Davis. Today, we continue our exploration of that chapter. We’ve begun discussing chapter nine of Alan Moore’s Miracleman, illustrated by Alan Davis. Today, we continue our exploration of that chapter.